It’s been four years since the last Herman Frank solo album (2012’s excellent Right in the Guts), but the legendary German guitarist has hardly been idle, remaining active in Victory and only recently leaving Accept. 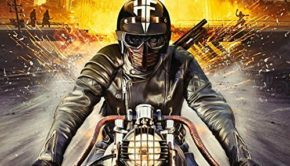 His latest album, the third Herman Frank solo album, is titled The Devil Rides Out, and once again finds Frank teaming up with vocalist Rick Altzi (Masterplan, ex-Thunderstone). They’re joined here by bassist Michael Muller (Jaded Heart) and drummer Andre Hilgers (Silent Force). 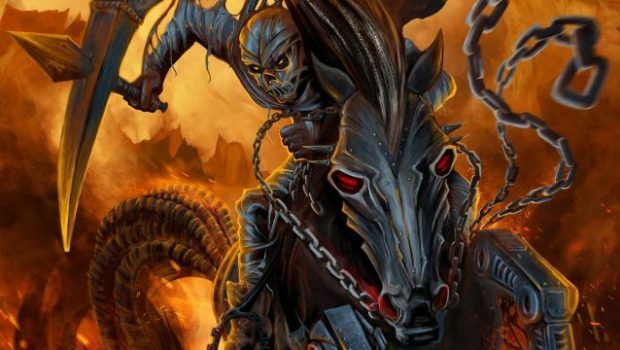 Frank’s previous two solo releases have been absolute monster traditional metal albums, so expectations are high for The Devil Rides Out, and for the most part Frank and company do not disappoint. 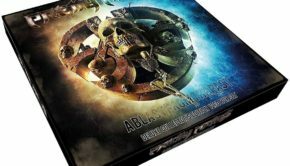 This is the kind of hard-charging yet still melodic album you might expect Accept to deliver, but with more of a power metal edge (thanks in large part to Altzi’s titanic vocals). And of course Frank’s massive riffs and wicked solos loom large. Despite a misstep or two (the first single/video “Ballhog Zone” is kind of silly), The Devil Rides Out is an extremely strong collection of traditional heavy metal songs. The one-two punch of “Running Back” and “Shout” open the album with a major shot of adrenaline, and the huge, anthemic “License to Kill” may be the album’s best moment. 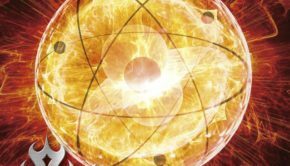 Blistering metal songs like “Dead or Alive” and “I Want It All” end the album on a very strong note. It’s going to take a few spins to determine whether The Devil Rides Out lives up to Right in the Guts and Loyal to None, but to be fair, those were both near-perfect heavy metal albums. 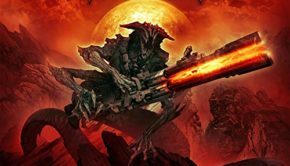 It is obvious right away though that Herman Frank has delivered another killer old school metal album that fans of his previous work in Accept, Victory and Moon’Doc are going to love. The Devil Rides Out is also going to more than satisfy fans of bands like Saxon, Masterplan, Brainstorm and Judas Priest. 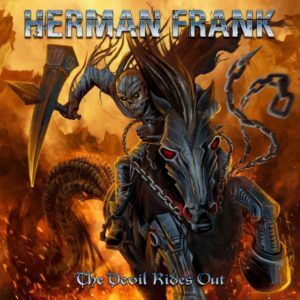 Herman Frank: The Devil Rides Out Justin G.
Summary: Just a damned fine heavy metal album from a legend in the game.